Images are boring, let your customers watch your products in use. Our plugin provides additional places for not only products’ images, but also your products description videos on Youtube. It will definitely catch your customers’ eyes. And of course, boost your sales. This extension for VM adds the ability to manage Product Videos the same way you manage VM Product Images. Simply copy in a url from Youtube or your own locally hosted video.Video thumbnails are uploaded automatically and videos show up on your product view page. Video can be set to automatically play in the videos’ frame. No annoying pop-up window appears. Thumbnail dimensions of images and videos can be freely simultaneously customized in Admin Panel. 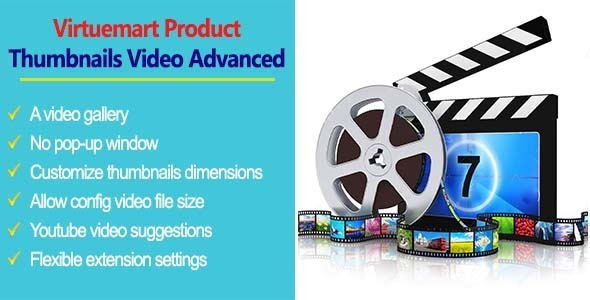 Admin can select file sources, upload selected file, delete selected file, select videos tab, select thumbnails image for video, fill the video link from internet. This extension can be enable or disable as Admin wishes, and video size can be strictly controlled.